BRAND NEW ROOF (installed 9/2018) This Beautiful 4/3/3 home is available in the exclusive gated Community of The Lakes at Sable Ridge. Nestled in the heart of Land O Lakes. 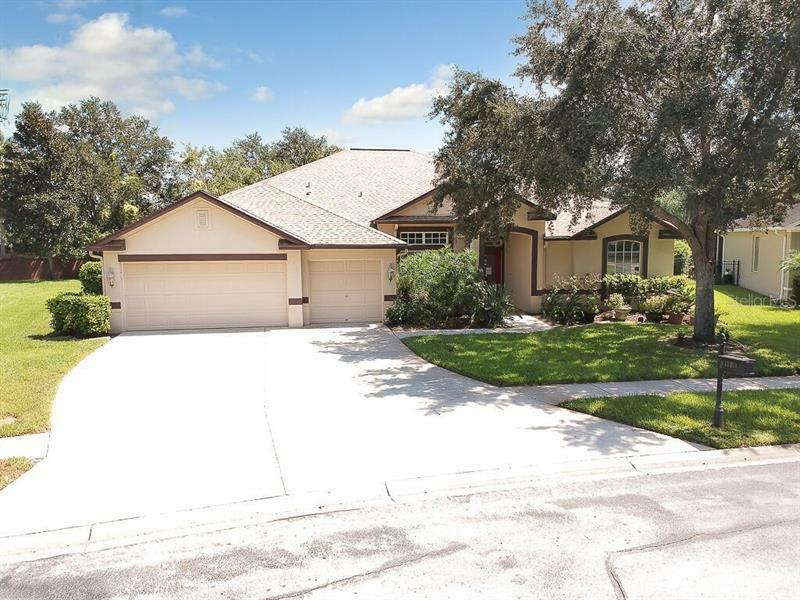 This home is meticulously maintained and turn key ready. Property backs up to its own private fishing pond. Features include a formal Dining and separate living room complete with wood flooring, crown molding and chair rail. Triple split room layout all with brand new plush carpeting and cable hook ups. Kitchen comprised of solid oak cabinets with Corian countertops. All Stainless steel appliances convey with the property. Master bedroom is split with built in entertainment center. Master also features built in cabinets disguised as waynes coating. Master bath is double vanity with separate glass shower and oversized soaking tub. Walk in closet so big its could almost be a fifth bedroom. Pool is majestic and has separate area wired for a hot tub. ADT system installed. All windows and doors are hurricane rated to 240 mph winds. THIS HOUSE IS A FORTRESS! Water softener included and a rain bird sprinkler system already installed. Spend your evenings on the community dock overlooking East lake. The sunsets are almost as stunning as this home!